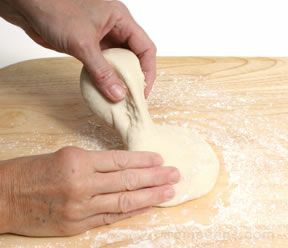 A substance in certain types of flour that gives dough its elasticity, strength, and makes the dough rise. Wheat has a high level of gluten. 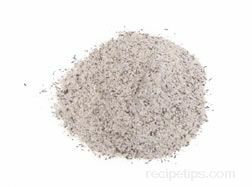 When baked goods are made with various types of non-gluten flour, wheat flour is often added so that the dough is able to rise effectively. 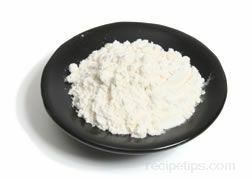 Many types of flour milled from various grains, seeds, legumes, tubers, and nuts do not contain gluten.